San Diego-based Sempra Energy, the parent of San Diego Gas & Electric and Southern California Gas, on Friday reported first-quarter earnings of $247 million, compared $178 million in the same quarter last year. The earnings were equivalent to $0.99 per fully-diluted common share, compared to $0.72 per share in the year-ago quarter. Revenues were $2.795 billion, up from $2.65 billion. 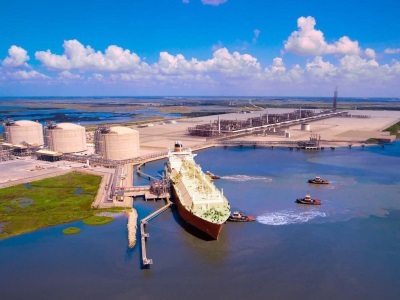 Reed also reported approval from the Federal Energy Commission for a $10 billion liquefied natural gas export terminal in Cameron, LA, which is expected to begin operation in 2018. “Our Cameron LNG liquefaction-export project continues to make strong progress toward the start of construction later this year and we have several large projects in Mexico and Peru coming online in the second half of 2014,” Reed said. With the boom in natural gas production from “fracking” in the United States, many utility companies are investing in export terminals to serve foreign markets.